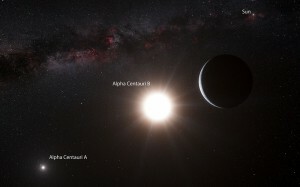 Computer simulations suggest that there are likely twenty one planets in the Alpha Centauri B solar system, eleven of which fall into the habitable zone where the temperature on those planets should be just right for liquid water to exist. And new research suggests that some of these planets have a high potential for photosynthetic life. But Gonzales points out that the Earth Similarity index alone is not an objective measure of habitability because it assumes Earth is the only planet capable of supporting life. So the research team also used something called the P model (biological productivity), which considers a planet’s surface temperature and levels of carbon dioxide. 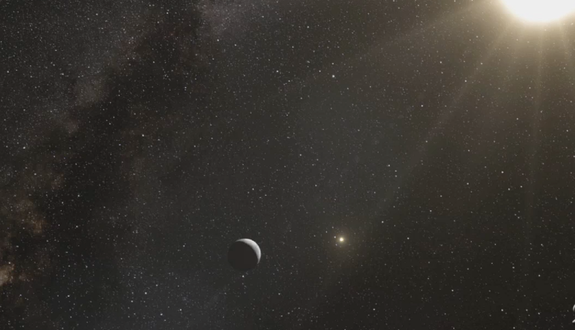 But keep in mind that these findings are highly theoretical, being that these planets don’t necessarily exist. The team’s research was published in a paper in the Cuban journal Revista Cubana de Fisica. There are three sentient species in the Alpha Centaui star system, the Greys who live on the satellites of a large planet, the Hands aliens who are like a land octopus living on a large planet orbiting the other Alpha Centauri star, and the Cenos aliens living on a tidally looked planet in the Proxima Centauri Star system.